We at Nugg pride ourselves on providing easy, affordable and reliable mmj recs online and cannabis delivery to those in need. But that pride feels even greater when we receive positive feedback from patients, and their families, who have truly benefited from medical marijuana. Jennifer Gregory, a former public school teacher and librarian from Covington, Texas, sent us this success story about how mmj is helping her daughter live a normal, productive college life. It’ll make you smile. My 19-year-old daughter has epilepsy. She had her first seizure at school when she was 16 years old during her Advanced Placement math class. Epilepsy.org defines seizures as an electrical storm in the brain. She has had approximately two generalized seizures per year since that time, resulting in trips to the ER that cost well over $2,000 each time. A generalized seizure means she loses consciousness and convulses. Abnormal electrical activity occurs in both sides of the brain at once. She has experienced countless partial seizures, where she doesn’t lose consciousness, but experiences side effects such as being unable to speak. A partial seizure means the abnormal electrical activity is confined to one part of your brain. No loss of consciousness occurs, but the side effects are still disruptive. Despite her neurological disability, my daughter scored a perfect score on both the ACT and SAT in the verbal section. Her neurologist joked that she should be a spokeswoman for her epilepsy medication as many who suffer from epilepsy are not as fortunate. However, despite being on medication, she continued to have seizures. When the physician tried to increase her dosage, she experienced unfortunate side effects. The medication, at higher dosages, affected her ability to perform academically. I’m not a physician or pharmacist, but I know the medication slows down the electrical activity in your brain. While preventing seizure activity, the inability to perform academically is an unfortunate side effect. She shouldn’t have to give that up. We reduced her dosage and accepted the fact that she would continue to have seizures. She received an academic scholarship to one of the Seven Sisters colleges in Massachusetts and began her academic career there in 2016. She had a seizure during new student orientation. She had a seizure on the bus during her first semester while visiting a friend attending college in New York. 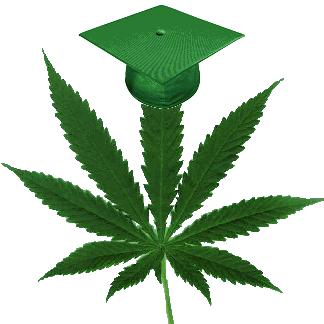 Luckily, her college is in a state that had the foresight to approve medical marijuana. In November 2016, she went to a clinic to get certified as a medical marijuana patient based on her epilepsy. She was readily approved and I paid the fee to the government. We are now in August 2017. My daughter, after being given access to medical marijuana, has almost gone a full year without a generalized seizure. Since her first seizure as a 16-year-old, this time period since she was approved for medical marijuana is the longest time she has gone without a generalized seizure. Her story may be anecdotal evidence, but this mother doesn’t care. Marijuana helps my child continue to pursue her dreams without the side effects of increased pharmaceuticals or the fear of another seizure. Texas, and our indeed our entire nation, should step up and afford her the same rights. No atrocities have occurred in other states that have legalized marijuana. Texas lawmakers, get off your moral high horse and accept that the legalization of marijuana could help many of your constituents. Have a similar mmj success story? Share it with us! He is very reluctant to take any medication from this experience.